In Florida and across the country, nurses play a critical role in providing care for patients, taking on many of the responsibilities traditionally entrusted to doctors. With the challenges presented by an aging population, growing numbers of lifestyle diseases, and an expanding healthcare system, the medical community is relying more and more on nurses. In the Deltona-Daytona Beach-Ormond Beach area, there is a demand for nurses at all levels. Below you can read brief descriptions of the main types of nursing jobs in the area. Certified nursing assistants provide basic care by aiding patients with everyday essentials such as bathing, getting dressed, and eating. CNAs also help licensed practical nurses and registered nurses with medical tasks, taking vital signs, and monitoring symptoms. CNA programs can be completed in a matter of weeks, making this the quickest and most affordable route to a healthcare career. In the Deltona-Daytona Beach-Ormond Beach area, there are approximately 3,000 certified nursing assistants with average earnings of $23,000 annually. Licensed practical nurses provide a more advanced level of care and thus have more responsibilities in the workplace. Like CNA programs, LPN programs are offered at community colleges and vocational schools. They typically take between 12 and 18 months to complete. 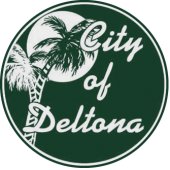 In the Deltona-Daytona Beach-Ormond Beach area, there are 1,400 LPNs earning an average annual salary of $38,000. Registered nurses help doctors to manage their crowded schedules and oversee a team of other nurses and medical support staff. RNs help to plan, implement, and assess all levels of patient care. There are two educational options for RNs: a two-year associate’s degree in nursing (ADN) or a four-year bachelor of science in nursing (BSN) degree. In the Deltona-Daytona Beach-Ormond Beach area, roughly 4,000 registered nurses are employed with average earnings of $55,000 per year. Deltona, Daytona Beach, Ormond Beach, and the surrounding area are home to large healthcare employers like Florida Hospital Memorial Medical Center and Halifax Health, as well as many other smaller healthcare facilities. For more information on starting a career in nursing, take a look at the below list of nursing programs in the area.